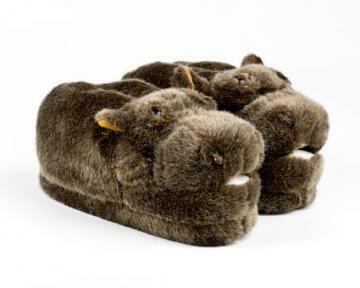 An elephant never forgets…and you’ll never forget to wear your ultra comfy elephant slippers! 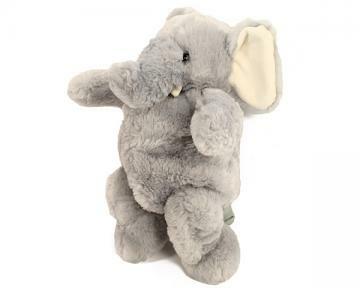 These plushy pachyderms have trumpeting trunks, tusks, pink ears, and fuzzy fabric that will massage your feet. Made with sturdy foam footbeds and no slip grips on the soles. 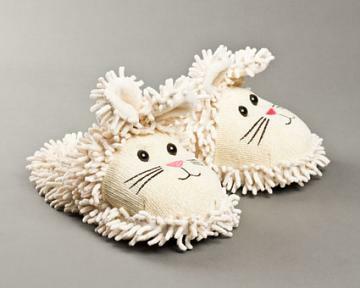 These slippers are so cute & really warm! I love them! I bought them for my daughter for her baby shower. She has a thing for baby elephants so I put these slippers at her chair when she opened gifts. She put them on and they were a big hit. Everyone loved them. Advantages: So soft and comfy. A real treat for tired feet. Disadvantages: None really except you can only surface wash. I purchased as a gift. The came on time, so cute and the birthday lady loved them! Fantastic! Made s great gift! received the order right away. It's a Christmas present.